We are changing is up a little bit this time by moving from savory to sweet. 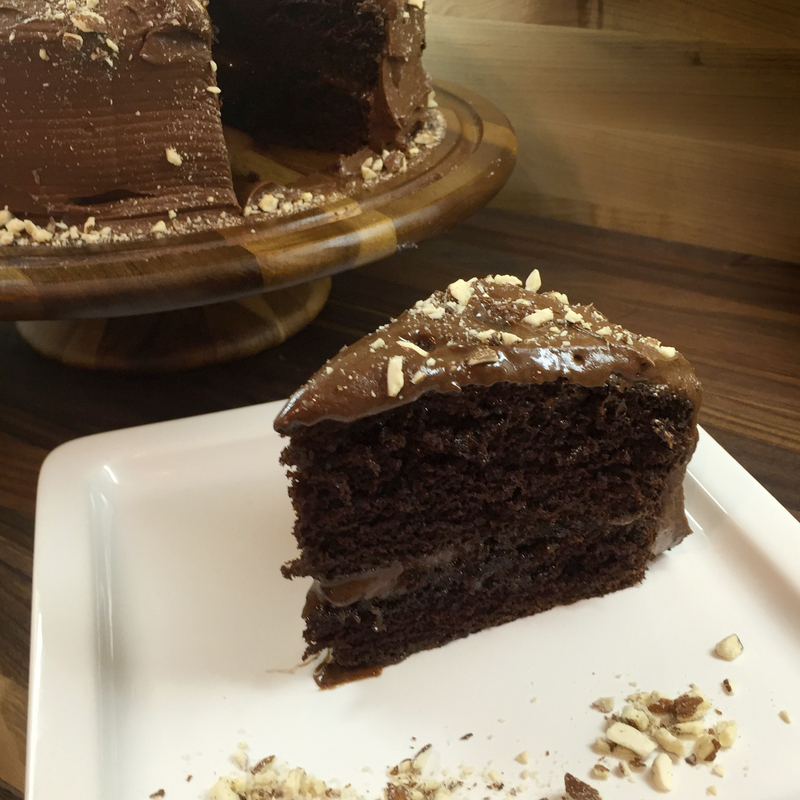 GMGs not only produce great dinners but are the perfect way to step out of the box with desserts. 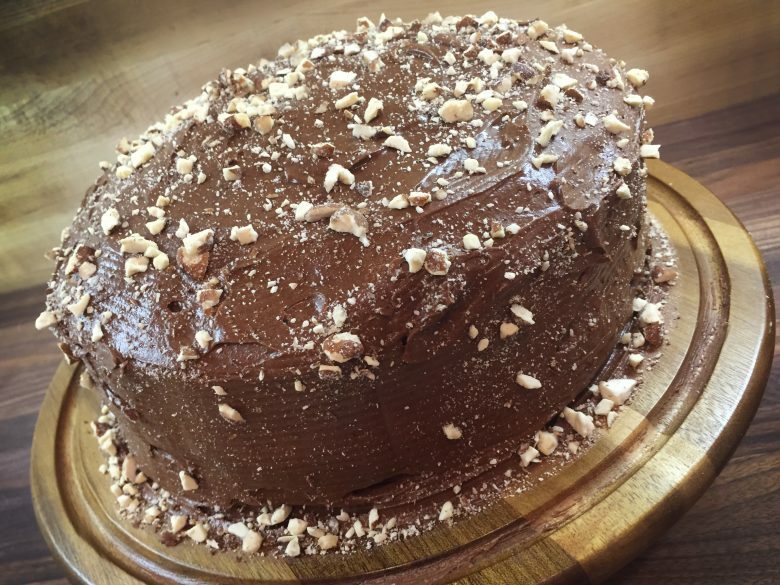 We’ve created a rich, decadent and smokey cake made with espresso and smoked almonds. Enjoy! 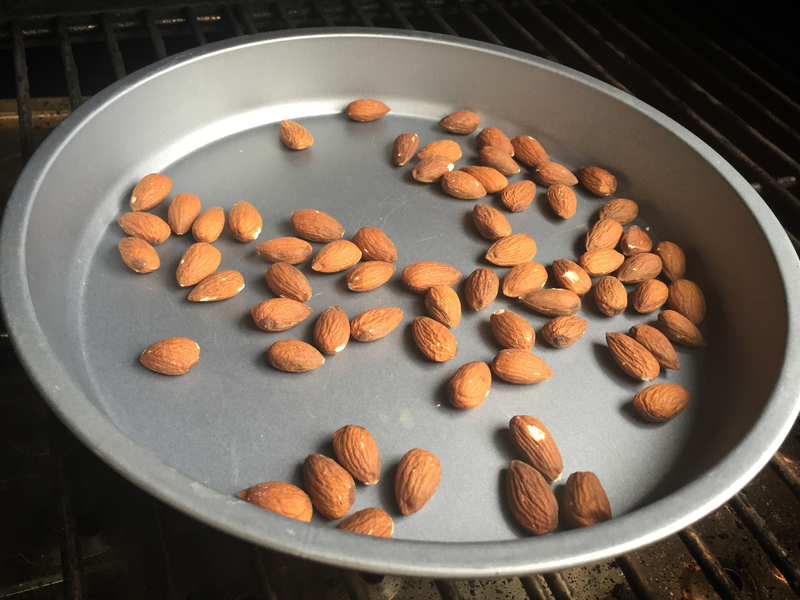 Start by smoking your almonds for 2 hours at 150f, then chop to a fine consistency (this step can be done days in advance). Turn your GMG to 350 degrees, and use a light smoking pellet like GMG Fruitwood Blend. Mix your cake together by first adding your dry ingredients and stirring together. Next add the wet ingredients and combine with a mixer. The final step is to add the boiling water slowly, while continuing to mix, finish by turning your mixer to high for 1 min. Place in two buttered 9in round pans. 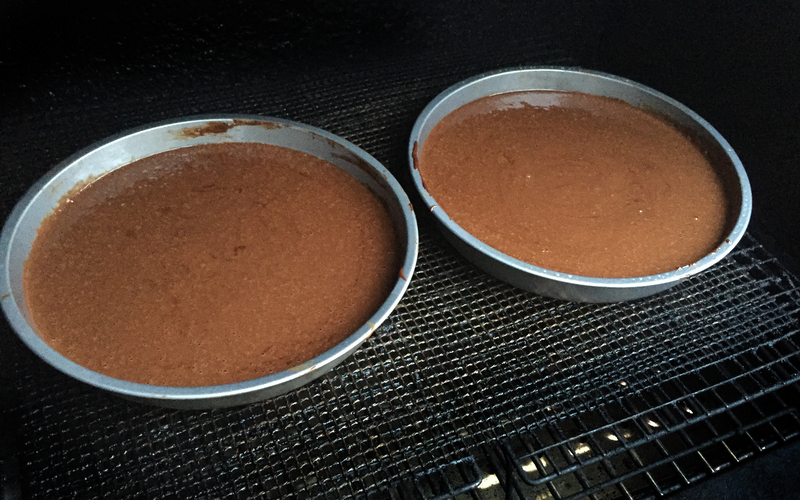 Smoke at 350f for 30-40 min or until a toothpick comes out dry, (rotate pans and spin after 20 min). If possible use cookie cooling racks or a second shelf to lift the pans off the grate for more even cooking. 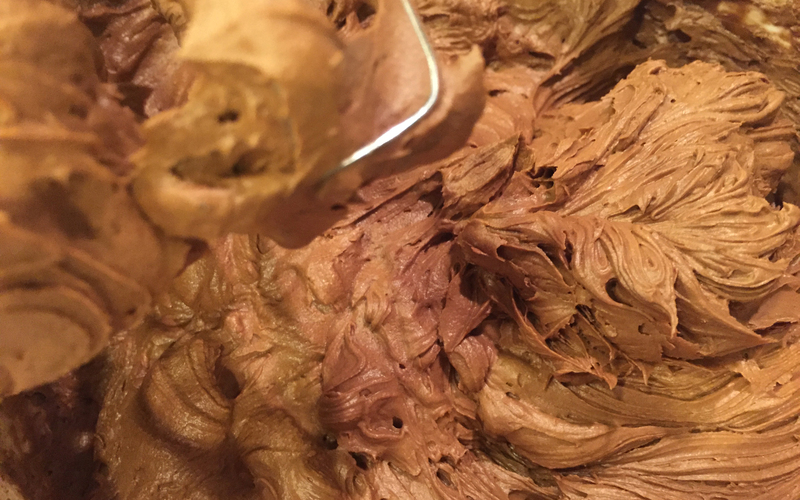 While your cake is cooking, mix your frosting ingredients together and stir on high for a whipped consistency. Allow your cakes to cool completely for assembling.